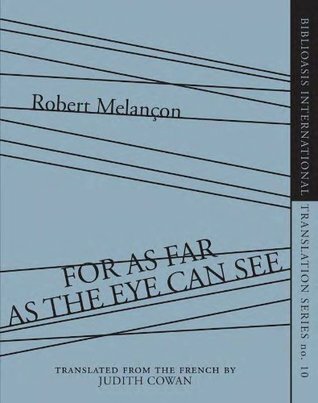 Robert Melancon Judith Cowan - Robert Melançon is one of Quebec’s most original poets. He won the Governor General’s Award for Poetry for his collection Blind Painting and shared the Governor General’s Award for Translation with Charlotte Melançon for their French version of A.M. Klein’s The Second Scroll. A long-time translator of Canadian poet Earle Birney, Melançon has been the poetry columnist for the Montreal newspaper Le Devoir and the Radio-Canada program En Toutes Lettres. He lives in North Hatley, in Quebec’s Eastern Townships.